It seems that the reported date of February 24th as the date that AMP would go live was incorrect. 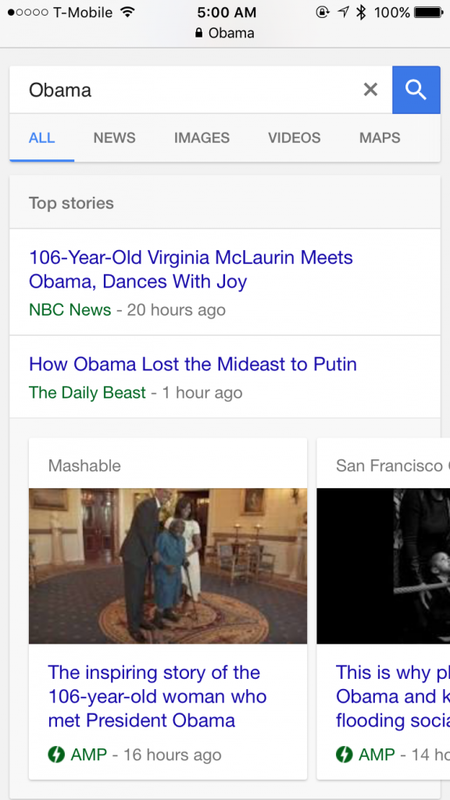 Google began pushing out AMP results late on February 22, 2016, rolling out across mobile devices in their news carousels. Here is a screenshot showing AMP on the 22nd. 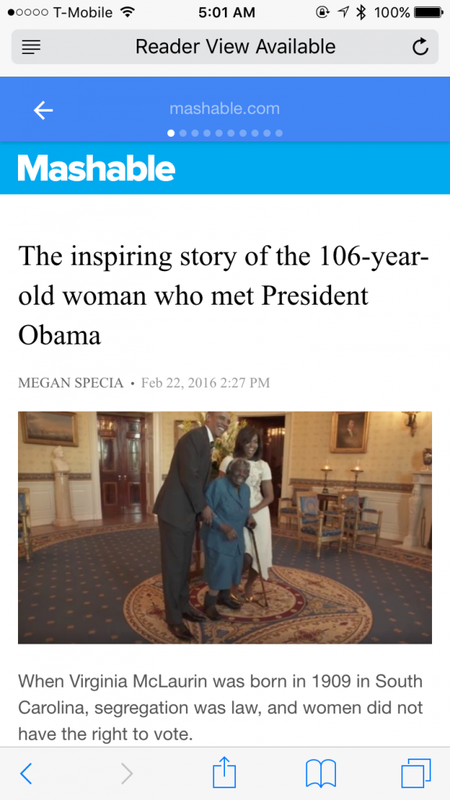 AMP results are listed with both a lightning bolt and the word AMP next to the time of the article. 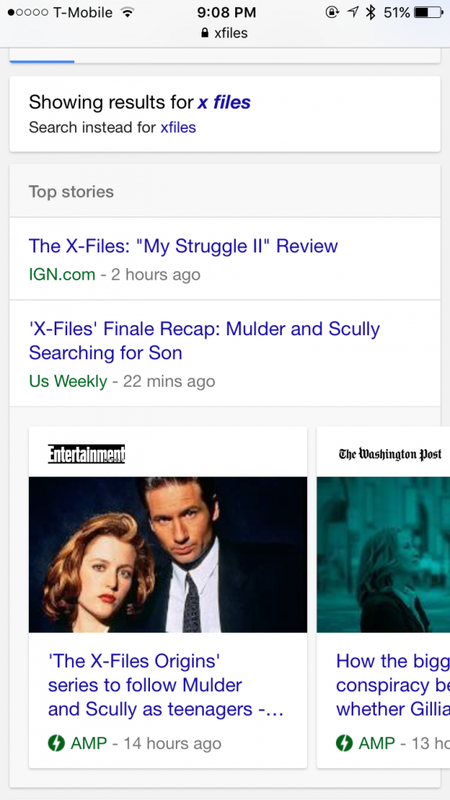 Interestingly, the top news results, the ones not in the carousel, are not labelled as AMP. It is just the ones in the news carousel that are labelled as AMP. 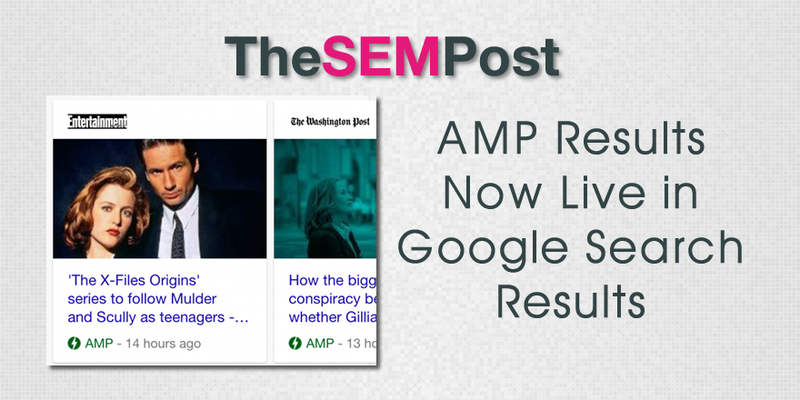 And only AMP results are showing in that news carousel, meaning those news sites that don’t have an AMP version available could miss out on significant mobile traffic as a result. If all news results switch to AMP for all mobile users, not just those on a slower connection, it could result in the loss of nearly all mobile news related traffic. It seems to still be rolling out across platforms. For example, it displays on Safari and Google Now on iOS, but ironically isn’t on Chrome yet. Last week it was widely reported that AMP would launch on February 24th, however this date was never actually confirmed by Google. Instead, Ad Age, which broke the date, cited anonymous sources. Google has been pushing AMP since late last year as a solution for those with slower internet connections. Gary Illyes said Google would be pushing AMP aggressively in 2016, and Google has recently added much more support for publishers within Google Search Console. Update: Not everyone is seeing it rolling out yet. But it is NOT related to the AMP demo. It seems to be rolling out internationally first, with reports from multiple people in various countries (tweets below).